Have you ever heard of F. Van Wyck Mason? I couldn't place the name when I stumbled across it recently. Since then, it's been on my mind. But let me start at the beginning. Earlier this year, Alfred Hitchcock's Mystery Magazine published a story of mine, "Margo and the Silver Cane," that I'm hoping will be the first installment of a new series. It features a young woman working in radio in New York City in 1941 who finds herself drafted into an amateur counterespionage operation. For a Margo story I was writing a few weeks back, "Margo and the Milk Trap," I needed a few titles of bestselling novels from 1940. Once upon a time, filling that need would have meant a drive down to the central library and a visit to the microfilm room to look over old reels of the New York Times. Nowadays, one can simply do a search on Google or Bing or whatever for something that sounds like an unproduced Busby Berkeley musical: "Bestsellers of 1940." So that's what I did. Most of the titles and authors on the resulting list were familiar, either from my past reading or from film adaptations. But one author-title combination was completely unfamiliar. It was Stars on the Sea, by F. Van Wyck Mason. Intrigued (and, as always, easily distracted), I did a search on Mason's long name and found a Wikipedia entry. It turns out that Mason was a fellow mystery writer. He was also a writer of historical novels for both adults and young adults and a decorated veteran of both world wars. He died on August 28, 1978, thirty-five years ago next Wednesday. And I couldn't remember ever hearing his name. During the war, Mason served as Eisenhower's staff historian and was with the first troops to enter Buchenwald. After the war, he resumed writing the North series and his historical novels (Stars on the Sea, his prewar bestseller, was one of these) and started writing historicals for the school kid market, under the name Frank W. Mason. 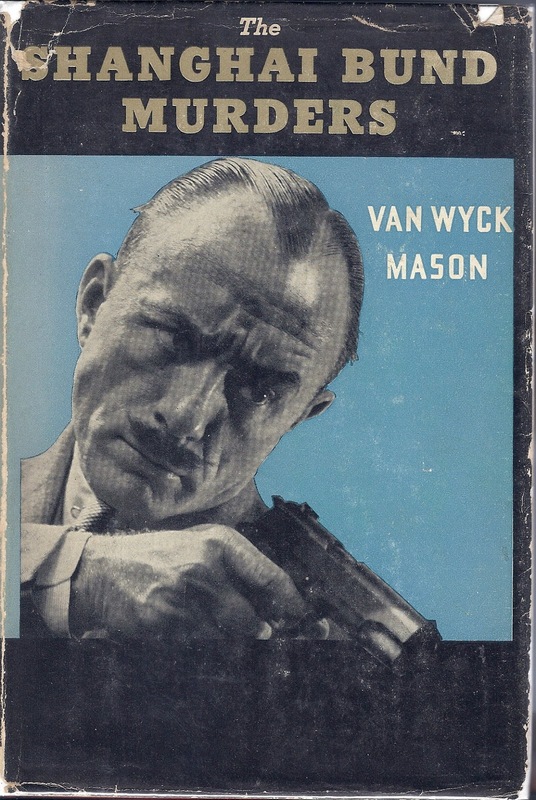 (Early on, he seems to have written mysteries as "Van Wyck Mason" and historicals as "F. Van Wyck Mason." Later, this distinction went away.) When he died in 1978--drowning while swimming off Bermuda--he'd published over seventy books. So why is F. Van Wyck Mason so little known today? For mystery fans, like me, it may be because Hugh North gave up solving murders sometime after World War II and evolved into an espionage agent. It may be because Hollywood never clasped North to its celluloid bosom. Or perhaps the question should be stated differently: How does any popular author stay popular, with so many shiny new ones hitting showroom floors every year? I don't know the answer to either question, but next Wednesday I'll be lifting a highball (North favored them) to F. Van Wyck Mason and to all those dead magazines that paid him so well. Fascinating article, Terry. It proves once again Mike Nevins' adage that most mystery novels do not survive the author's death. There are obvious exceptions, Christie and Doyle, for example, but the general rule remains. So as Spock said, "live long and prosper!" And now with Wikipedia, he has a modest immortality! "most mystery novels do not survive the author's death...So as Spock said, "live long and prosper!" In much the same way as I like B movies, I like so-called silver and golden age mysteries and pulp fiction, although remembering authors isn't my strong point. Thanks for the article, Terry! It is sad it's so difficult to make a living writing fiction. Most people seem to prefer repetitious TV hack writing, same-o, same-o. I never read him but I know the name, either from my parents' book shelves or the public library where I wrked in high school. 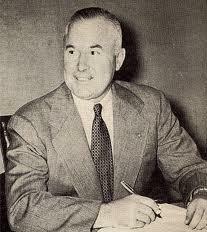 Just today I discovered a longdead writer I'll bet you have never heard of: Johnston McCulley. But I'll bet you've heard of one of his characters: Zorro. Nicely written article. My own experience started with a discarded copy of The Hongkong Airbase Murders. It took me years to collect and read the books as well as research and write the Wikipedia article (still working on it). It is amazing how quickly his fame seemed to have died with him as there was a flurry of his books published and reprinted during the 70's but all his works went out of print after his final novel was published posthumously.